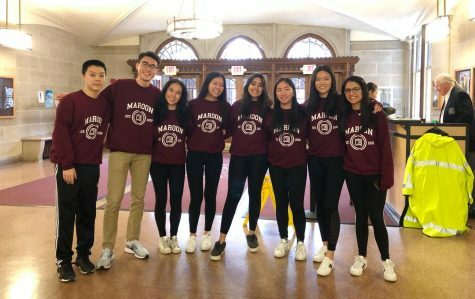 Maroon is Scarsdale High School’s student-run news publication that aims to provide Scarsdale residents with current, relevant, and exciting news. Maroon has been published since 1933. The Maroon recently (2016) transformed from a monthly newspaper to a quarterly glossy magazine. The website is updated daily. Scarsdale High School is located in Scarsdale, NY. Maroon meets every Thursday in room 3N4. To join, come to Cub Course! Cub Course includes two consecutive Thursdays where our editors-in-chief teach you everything to need to know about journalism. Afterwards, viola! You will be officially a part of Maroon. In print editions of the Maroon, assistant editors are typically assigned to verify the authenticity of quotes with those quoted in each article. 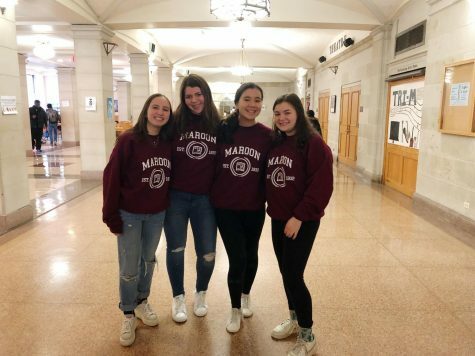 On the Maroon website, our goal is to provide our online readers with access to current and intriguing relevant content including photos of school events, student blogs and various other feature pieces regarding school issues, sports, sciences, arts and entertainment, and popular culture. In order to ensure this goal, Maroon has altered its Quote Check Policy to accommodate daily updates for articles published online only. For online articles, Maroon will no longer assign assistant editors to verify quotes with those quoted in each article. If those quoted are unsatisfied with the way their quote appears in the online article, they can address that concern by notifying our staff at [email protected] and requesting a change. Opinions expressed in staff editorials reflect the majority view of Maroon staff. Editorials do not reflect the views of Scarsdale High School School, its administration or its staff. Op-ed pieces reflect the opinions of individual writers. We encourage letters and op-ed contributions from the wider Scarsdale community. To submit a piece for consideration for publication, please email it to [email protected] We reserve the right to edit submitted pieces for clarity, length, spelling and grammar.